It is Troop policy that all scouts must wear their Class A or Class B uniform while traveling to and from camp. Most boys prefer Class B T-shirts, so we're offering them for sale before Many Point. Class B uniforms are $15 each. Available sizes (and dimensions) are included below. Shirts will be delivered at the departure to camp. Payment is due at delivery. Additionally, neckerchiefs are being sold for $20 each. 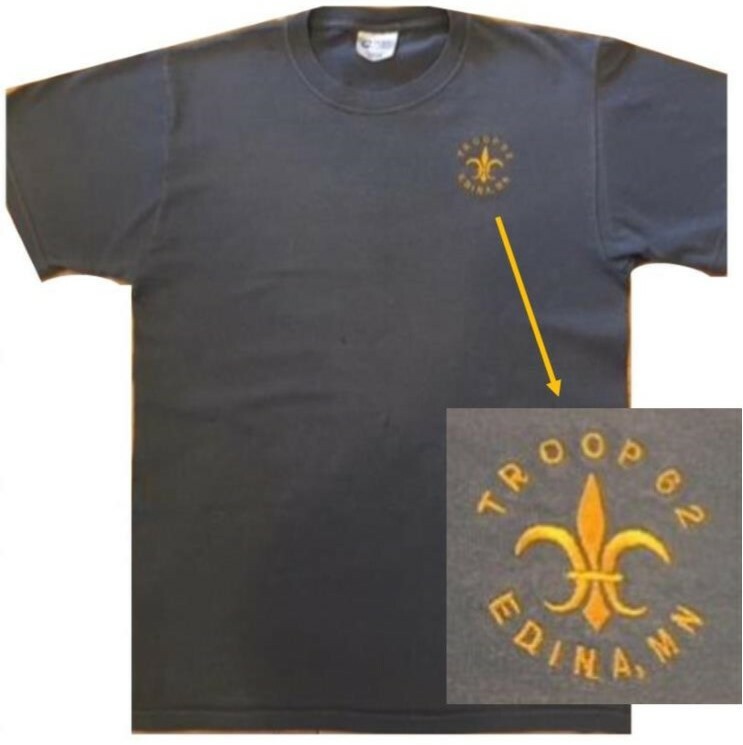 To place your shirt/neckerchief order, email the troop treasurer, Christina Boettcher, at treasurer@edinatroop62.org.